Photos courtesy GCCC Greene County Career Center information technology students Kolton Hahn, Jack Ramey, Bryce Simpson, Jonathon Bailey, Alla’Eldeen Idrees, Jacoby Hyer and Taylor Humble recently participated in the Business Professionals of America (BPA) regional competition. Corey Jarrett, Colton Koller, Kaylie Gallion, Jacob Hyer, Nichiolas Perry and Kaden Walker also competed at BPA. Wade Hutchison, Jace Adkins, Kathryn-Rose Grant, Cody Back and Thomas Gardner were among the career center contestants. XENIA — Greene County Career Center’s information technology students recently participated in their Business Professionals of America (BPA) regional competition and came away with a number of medals. Kaden Walker, Nicholas Perry, Jace Adkins, Kathryn-Rose Grant and Zachary Fosson advanced to the BPA state competition Thursday-Friday, March 14-15 in Columbus. Richard Kayser is the information technology teacher at the career center. The following earned medals: Sarah Petrick, Beavercreek, 3rd place, Fundamental Word Processing; Cody Back, Yellow Springs, 4th place Fundamental Word Processing; Thomas Gardner, Beavercreek, 4th place, Fundamental Spreadsheet Applications; Wade Hutchison, Xenia, 5th place, Fundamental Spreadsheet Applications; Kaden Walker, Beavercreek, 3rd place, Database Applications; Jacob Hyer, Xenia, 6th place, PC Servicing and Troubleshooting and 3rd place, Website Team; Nicholas Perry, Xenia, 3rd place, Computer Security and 2nd place, Visual Basic/C# Programming; Trevor Rathburn, Fairborn, 5th place, Computer Security and Small Business Management Team; Kaylie Gallion, Greeneview, 3rd place, Visual Basic/C# Programming; Jace Adkins, Bellbrook, 2nd place, Fundamentals of Web Design; Kathryn-Rose Grant, Xenia, 3rd place, Graphic Design Promotion and 3rd place, Digital Publishing; Jonathon Bailey, Xenia, 3d place, Website Team; Alla’Eldeen Idrees, Xenia, 3rd place, Website Team; Taylor Humble, Xenia, 3rd place, Website Team; Kolton Hahn, Beavercreek, 3rd place, Small Business Management Team; Jack Ramey, Beavercreek, 3rd place, Small Business Management Team; Bryce Simpson, Fairborn, 3rd place, Small Business Management Team; Zachary Fosson, Xenia, 1st place, Extemporaneous Speech; Corey Jarrett, Bellbrook, 2nd place, Human Resource Management and Colton Koller, Beavercreek, 4th place, Prepared Speech. 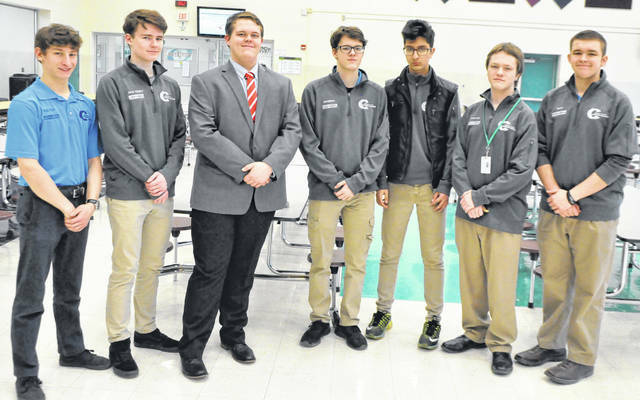 https://www.xeniagazette.com/wp-content/uploads/sites/32/2019/02/web1_BPA-1.jpgPhotos courtesy GCCC Greene County Career Center information technology students Kolton Hahn, Jack Ramey, Bryce Simpson, Jonathon Bailey, Alla’Eldeen Idrees, Jacoby Hyer and Taylor Humble recently participated in the Business Professionals of America (BPA) regional competition. https://www.xeniagazette.com/wp-content/uploads/sites/32/2019/02/web1_BPA-2.jpgCorey Jarrett, Colton Koller, Kaylie Gallion, Jacob Hyer, Nichiolas Perry and Kaden Walker also competed at BPA. 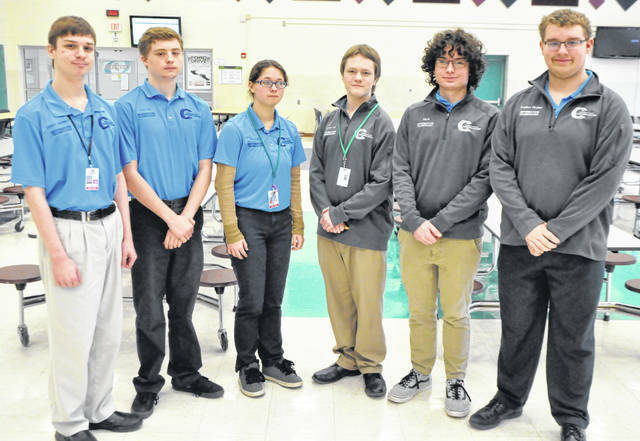 https://www.xeniagazette.com/wp-content/uploads/sites/32/2019/02/web1_BPA-3.jpgWade Hutchison, Jace Adkins, Kathryn-Rose Grant, Cody Back and Thomas Gardner were among the career center contestants.